That's the message being told to medical transcriptionists, who must be willing to adapt to a changing HIM landscape for the sake of their profession. In the current health care environment, the role of the medical transcriptionist (MT) is changing. Unfortunately, for the most part, it's a diminishing one. As a result, many MTs are seeking ways to stay relevant and continue working in their chosen field. Chris Hopkins, chief operating officer of Landmark Transcription, believes technological advances are the main cause for this shift in the MT marketplace. "I think a decrease in employment opportunities has a lot to do with the increasing amount of technology that is being used in the industry," he says. "Front-end speech recognition, in particular, has really put a damper on the need for transcriptionists. And those transcriptionists who have been in the field for a long time are losing their passion for the industry as they see their roles move from typing dictation to editing. Newer transcriptionists are more technically adept. They've never known a world where speech recognition didn't exist, and they tend to be more motivated to stay relevant in whatever ways they can." "I believe rather than struggling to be relevant, it is really a struggle to understand the change in the industry," says Bob McClelland, chief operating officer of InfraWare. "Speech recognition software, for example, will impact the MTs' and MTSOs' [medical transcription service organizations] revenues; however, there is a lot of opportunity out there. While the workload of transcriptionists has decreased, supporting doctors and facilities with documentation management will still be necessary." To support his view, McClelland provides a number of illustrations, among them the anticipated physician shortage that is expected to have a large impact. "According to the Washington Post, by 2024 the United States will have a shortage of 90,000 physicians," he notes. "Our medical transcription service is designed to help doctors free up more time to spend with their patients. And, as the shortage occurs, time management for those physicians will be that much more important, increasing the need for documentation support." McClelland adds that in cases where physicians have full schedules, they cannot always edit, or be expected to edit, documents properly, leading to poor documentation quality. Busy physicians also are unable to efficiently manage the information being generated through patient portals. Such problems can lead to larger issues for facilities in the form of reimbursement denials and lawsuits. "Medicare reimbursement denials due to errors are on the increase," McClelland says. "I believe the financial pressures of this will continue to increase the relevancy of transcriptionists." Marilyn Trapani, president and CEO of Silent Type, believes that in order for MTs to stay relevant, as with any other change in a marketplace, they must be flexible and transform with their environment. "Transcriptionists like things orderly, which can make it difficult for them to change," she says. "As an owner, I've tried to make the change palatable. Our team has added a great deal of training, and we work with our MTs to make sure that they understand what is going on and how they're going to participate in the new behavior." Staying in tune with the latest technology, including EMRs, is a must. 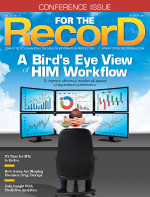 "It's critical that MTs learn to edit and navigate different EMRs," McClelland says. "The HIM leaders around the country are struggling to meet the financial expectations placed on them while also ensuring a high quality document is captured for each patient encounter, and the documentation support they enlist must be able to adapt to the needs of that facility. In many cases, MTs must be able to access the EMR and work within patient records for facilities if that's what is required." Chris Foley, chairman, president, and CEO of iMedX, underscores the need for MTs to remain flexible. "MTs definitely need to be open to change, to continuing education, to asking questions, to stepping outside of their comfort zones to use the skills they have used in their careers to see where their skill set can still be utilized," he says. "It may not be typing for eight hours at a desk, but it could evolve into something they love just as much, if not even more, without having to let go of the medical knowledge they have gained through the years, as well as the desire to be part of someone's health care story without being in direct contact with the patients themselves." iMedX offers MTs several development tools. "We offer cross-training, support, networking with other colleagues, and earning a certification through ongoing education," Foley says. Despite industry changes, MTs are finding other opportunities. "As technology has evolved, we've had to let go of people, and they have generally found other work out there," Hopkins notes. "If they're willing to learn and transition, they can still find good opportunities, including editing, particularly if they're willing to learn a new account and skills. Doctors aren't equipped to edit, which means there can be a lot of errors and inconsistencies in the patient record. We're finding that transcriptionists are being hired to clean up EMRs." Silent Type serves clients who have a wide range of needs, from straight typing to typing and editing to working directly in the hospital system. "At first, it was very difficult for our staff to adjust to various clients' software systems, but they did so beautifully," Trapani says. "MTSOs like InfraWare are regularly hiring. Therefore, I would recommend quality transcriptionists not give up on the profession if their current companies experience change," McClelland says. "While the National Labor Statistics show a decrease of transcriptionists needed between now and 2024, it's only a 3% decline. There is a lot of work out there for transcriptionists, but they will need to adapt. Welcoming new skills such as editing and EMR chart management are two great examples of how to stay in demand." Hopkins emphasizes that training can unlock new opportunities for those MTs who find themselves unemployed. "AHDI [the Association for Healthcare Documentation Integrity] offers several courses on how to become a more proficient editor, for instance. They are mostly online, and such courses can be very helpful," he says. Hopkins points out that being capable and interested in learning something different is important to success in the employment market, adding that "MTs need to approach the changing marketplace with the right attitude." Foley believes there is still a need for professionals with an MT's skill set, whether as transcriptionists, editors, or coders. Like Hopkins, he believes continuing education is key. "Employees who take advantage of cross-training opportunities can easily transition to other areas," Foley says. "At iMedX, we offer a transcriptionist-to-coder training program, available to employees meeting specific criteria, where MTs can learn an entirely new skill set. We also offer advancement opportunities to interested employees. Additionally, we have iMedX University, which is a state-of-the-art online learning management system that combines interactive multimedia with a vast array of course and content options to cover any student's needs." Foley reminds MTs to be conscious of employment status. "Most companies prefer a contractor relationship, but most MTs prefer FTE [full-time employee] status," he says. "The government imposes huge costs to companies to support FTEs. Benefits, retirement plans, and the like drive that cost up further. Companies are then forced to seek ways to reduce costs, and that typically comes with people reduction. One way to stay personally competitive is to consider a contractor relationship. Over the years, MT wages have stayed basically the same; however, the rates clients pay for our services have declined. To stay competitive, you must accept changing market conditions and adjust your expectations accordingly. If companies cannot afford the labor cost, it drives them to technology solutions, hence reductions in staff." While experts agree that new MTs open to opportunities beyond typing dictation will succeed in the marketplace, most say the pool of interested candidates is diminishing. "I do believe there are new MTs who want to enter the market, but not as many as in the past," Foley says. "What we're hearing from those planning to enter the profession is that they are being discouraged by some who have been in the field for years and who see it as a dying industry. They read comments on MT message boards posted by those few unhappy people, and they think this is how everything is. I'd suggest those happy MTs work hard to counter those who attempt to pull the profession down." Foley says providers are on the lookout for professionals who can help maintain accurate documentation, a skill software has yet to master. "The requirement for people to be part of the process will never change," he says. "Documents partially created by the use of voice recognition need to be completed and edited. Providers do not have time to see to those tasks nor will they. Health care documentation specialists have the know-how to maintain the integrity of our medical information." Successful records management requires a mix of humans and technology. "That combination is vital to a quality workflow. It's a level of critical thinking, problem solving, and logic that is unattainable with technology alone," Foley explains. "While technology quickly and efficiently captures and documents data, it can only do so much. Every precise, compliant workflow needs human intelligence implemented at crucial points in the process to interpret context and provide unparalleled service." While there is still a need for qualified entry-level MTs, many schools are scrapping transcription education from their curriculums. "We eliminated our transcription program about five years ago because we went from 100% placement right out of the program to 50% around 2011," says Brandy Ziesemer, RHIA, CCS, an ICD-10-CM/PCS trainer and health information program manager/professor at Lake-Sumter State College in Leesburg, Florida. "I've spoken with some of my colleagues in hospital health information services departments, and they still hire people with the skills of transcriptionists. However, they are being hired either as back-end medical editors to correct mistakes made by voice recognition modules embedded in most EMRs or to edit the medical records that were created via clicking on boxes in an EMR system. Emergency departments and many physicians are hiring medical scribes to input information into the EMR system using a portable device and following the physicians." McClelland has observed a positive vibe among MTs and MTSOs. "At InfraWare, we have the benefit of connecting with a lot of facilities that are busy and do not expect their doctors to spend time away from patients to complete reports. Instead, they hire us to do that. The doctor is then able to see more patients, and the document is a higher-quality product," he says. Trapani's enthusiasm is more tempered. "The vibe is good, but it's not what it used to be," she says. "Many changes at once has an impact on people. Some MTs have stuck with it and some have not." Foley has a more middle-of-the-road view, which he bases on the many differing opinions he has heard across the market. "It really depends. For instance, social media does not always paint a pretty picture," he says. "If you speak face-to face with peers in this profession, there is the realization that we must all evolve. The key to longevity in any profession is to allow for evolution, be open to change, and have a positive outlook. There is, and has always been, a strong passion for the work MTs provide. Many of our MTs have been with us for many years and greatly enjoy what they do. Some have even mentioned retirement, yet they remain with us. MTs are a close-knit group, and there is something to be said about their loyalty and dedication. It's disheartening when a few naysayers try to break that camaraderie down." The MT profession has evolved, and will continue to do so. "We need to evolve with it and keep the desire to continue learning as well," Foley says. "Patients will continue seeing their doctors and accurate documentation of those visits still needs to take place in some way, shape, or form. We can have a part in that by participating in local, state, and national associations. We can also be vocal in our own HIM departments by sharing our knowledge, contributing to the health care of the patient, and sharing what our skill set can continue to offer to the future of health care documentation." Most experts forecast more changes over the next decade, likely the result of new, emerging technologies. However, they believe the need for the expertise that the current MT workforce provides will never be eliminated completely. "We will still need someone monitoring health care documentation for quality assurance and record completion," Foley says. "The medical field and technology evolve and so too will the transcription industry. Better tools for both MTs and our clients, along with the demand for faster turnaround times and overall increased service offerings, will have some MTs aligning themselves with the changes." Foley also notes that time will tell the true impact of both widespread EMR adoption and the move to ICD-10. Evidence suggests a combination of technological power and human skill set will make the difference. "There is no substitute for the human mind; it is vital to a quality work flow. It provides a level of critical thinking, problem solving, and logic that is unattainable with technology alone," he says. Trapani adds that the industry may face challenges today but that it will likely transform again as hospitals assess speech recognition and EMR performance. "I think that when hospitals are looking at the quality of what they are getting, they will begin to see the inconsistencies in documents generated by physicians who simply don't have the time to correct those errors. More MTs will be needed to help improve the integrity of the record," she says. Hopkins advises MTs not to throw in the towel. "If MTs can flow with the changes, they will indeed stay relevant," he says.